National fish and chip and fast food wholesaler, T.Quality has invested in BCP’s Oporteo e-commerce platform to develop an omni-channel strategy. T.Quality , who supply food products, cleaning supplies and equipment to fish and chip shops and fast food businesses across the UK, are implementing a new e-commerce platform. This new online facility, which will go live next year, will give them the professional e-commerce presence needed in the fast moving foodservice sector. They have chosen to invest in Oporteo because of the easy and seamless integration with their existing ERP database, Accord®. This means it will not only provide their customers with a more accessible and convenient way to order products, but also improve their own efficiency and cost effectiveness. They were particularly impressed with Oporteo’s high level of functionality which will enable customers to view real time prices and stock availability, setting T.Quality apart from many of their competitors. As the wholesale and foodservice industry develops so has the customer’s demand for advanced ordering services. The implementation of Oporteo will reflect T.Quality’s long standing history of providing products and services that align with their customers’ changing needs. In the future they have plans to further develop their Oporteo platform so they can assist customers with repeat orders through product barcoding and special targeted communications which support new T. Quality product lines and the nationwide T. Quality used cooking oil collection service. Oporteo is built on BCP’s extensive knowledge of the wholesale and food service sector. Based on the market leading Magento 2 platform, it is designed for B2B companies who want to deliver exceptional omni-channel customer experiences and stay ahead in an ever-changing market. 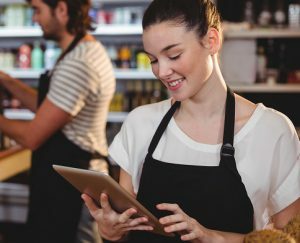 The Oporteo package offers hundreds of e-commerce features specifically designed to fit the unique and sophisticated requirements of wholesale and food service businesses.